Alex Fedyr’s debut novel, Estranged is a resilient and unexpected genre-bender of a book. It’s as much steeped in crime thrillers as it is paranormal horror. It’s half-zombie and half-vampire. Though Estranged suffers from a few problems that, I think, might be debut-author missteps, on the whole the book is a solid effort. Kalei Distrad is a cop in Celan, where she works clean up on Estranged attack sites. 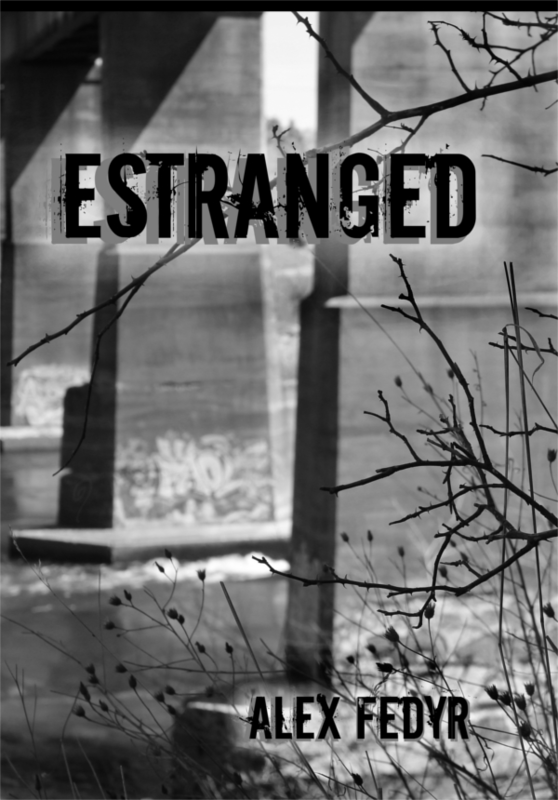 The Estranged can kill Untouched people with a brush of skin-to-skin contact, and Kalei lost her parents to them. All she wants is to become a Warden—a member of SWORDE, the front line against the Estranged. That’s who Kalei is when we first meet her. By the end of the first chapter, Kalei is someone completely, wholly different. By the end of the book, Kalei is reincarnated one over again. Suffice to say Fedyr keeps the plot moving. Plot and pacing are used to excellent effect; Fedyr juggles multiple plot arcs, each well-paced, each unifying at the end of the book to good effect. There was one major twist I felt was unbelievable1, but otherwise, each twist was satisfying and surprising. The Estranged themselves are innovative, interesting horror creatures: Fedyr takes elements from both zombies and vampires, but makes them something else entirely. Like most monsters, the Estranged are posited to interrogate something about human nature, and the Estranged raise a host of questions about addiction. Anyone who has struggled with addiction or has lived with or loved someone who has dealt with addiction will engage with this book on a whole deeper level; I know I did. The complexities of addiction are on display here, most especially that addicts are still people, even in the throes of their addiction, even when it makes them do terrible things, and while that doesn’t absolve what they do it does complicate what it means to be human. Some of that lovely nuance gets lost in spots where Fedyr’s choices as an author distract from the plot and the characters. For example, I was confused by two characters with almost exactly the same name who are allies to Kalei (hint: Mar and Marley are not the same person). A more problematic example is the use of what reads like feigned African American Vernacular English (AAVE) to code at least one White character as sketchy and low class. Later in the book, this character essentially code-switches between AAVE and Standard English. Given that this character is White, this is deeply appropriative of Black culture, and the character traits Fedyr was trying to communicate to the reader about this character using code-switching and AAVE to begin with were not necessarily positive. I am a White reader, but there is a good chance that a reader of color, especially a Black reader, could see this as a major race fail. In sum, Estranged is an engaging and thoughtful horror novel, and a solid first effort from Fedyr albeit with some missteps. It ends with a chilling cliffhanger, and I hope Fedyr is writing a sequel so I can see what happens next! 1To my point about Estranged being a debut book, this particular plot twist would have flown better with more foreshadowing and groundwork laid earlier in the book. This entry was posted in 3 stars, Book Review and tagged 3 stars, alex fedyr, book review, estranged by brsanders. Bookmark the permalink.